You see that half-pipe? I’m going to skate towards it, launch myself and do a 900 Benihana, land it and combo that tight action into a proper nose manual before I do a lazy kick-flip off a goofy style foot and hit that rail for a quick grind. Because I’m a skating…GAWD. Well, at least I am in video games. In real life however? It’s amazing that I can even stand on a skateboard, let alone shift my weight on it. I blame Tony Hawk’s Pro Skater for my delusions of magnificent grandeur, which I’ll be reliving when the next game picks up where the others left off. “I feel like the new consoles have become established, and we can bring back a nostalgic feel for the fans,” skateboarding legend Tony Hawk said to Digital Spy. We can update it in terms of gameplay, look and motion, and create a new online community which is something we didn’t have in the past. We had a skatepark editor and we had some online elements, but nothing that is so rich as it is now. It won’t just be nostalgia that features heavily in Tony Hawk’s Pro Skater 5, as the game will feature enhanced online play that now has up to eight skaters battling it out in order to earn massive combos throughout the stages. Custom parks can now feature over 250 objects, with the community voting on the best thrash arena. Arenas which the Hawkmesiter himself will be visiting. “I’ll be out there online playing for sure, and I can’t wait to see what people are creating and sharing,” Hawk said. Honestly, I’m amped for an old-school game, as Tony Hawk’s Pro Skater 5 combines all of that classic action with 80 missions spread across nine environments. Hawk said that signature locales will also return, such as the infamous warehouse, hangar and schoolyard from the previous titles. “But they’ve also been improved upon,” Hawk said. They won’t be changed, but expanded. 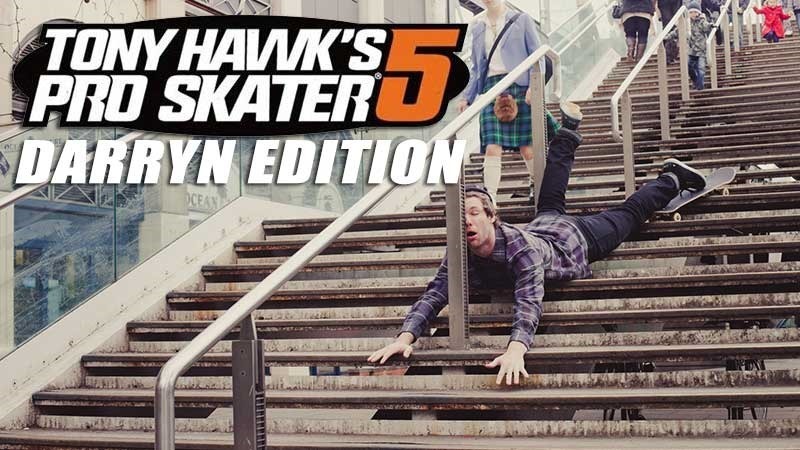 Hawk also mentioned that skaters in the game (including Nyjah Huston, Aaron Homoki, Ishod Wair, Riley Hawk, Lizzie Armanto and Chris Cole) will feature their signature tricks, while custom skaters will return with a more streamlined approach to creating them. All I know is, is that I’ll most likely be getting back onto my skateboard after playing the game. And bailing face-first onto the tarmac. WORTH IT!